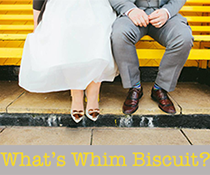 Whim Biscuit was created in order to promote the serendipitous world around us- A celebration of happiness in delights we encounter everyday. 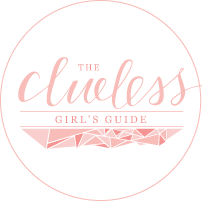 My mission is to review and feature people, products, and items, that deserve to be recognised (be it for their awesome-ness or their flaws), so we can share and roll around in the culture that surrounds us. Define yourself I hear you say! Modern times calls for the inherent need to be specific. Given to whimsy or fanciful notions; capricious: a pixyish, whimsical fellow. An item that is wanted/kinda needed/desired but not necessary for survival. Makes you incredibly happy however, resulting in the person being prone to intense fits of jubilation and self congratulation. Much clapping one's self on the back may ensue. Origins: Upon sighting a large box of luxurious biscuits one day, the whimsical character who spotted them could think of them and nothing else....not even shoes, kitties, or mystery boxes. The creature knew she had tea at home, and positively revelled in the thought of dunking these delights in the golden God-like liquid. Although an unwise buy (probably), she purchased them anyway- thus stemming the phrase "whim biscuit(s)". It was thereafter used to describe items that people who care about you will berate you for buying. E.g: "those shoes were a bit of a whim biscuit weren't they? ", "You should probably take those whim biscuit's back, we do need to save up for better things", or "I fear she's gone shopping, and she will totally fill the trolley with regrettable whim biscuits". Preferably chocolate coated or full of jammy goodness.